Forgotten Hollywood » Blog Archive » “Forgotten Hollywood”- Barnes & Noble to Carry Paperback! « “Forgotten Hollywood”- New Work Popping Up Internationally! “Forgotten Hollywood”- Barnes & Noble to Carry Paperback! 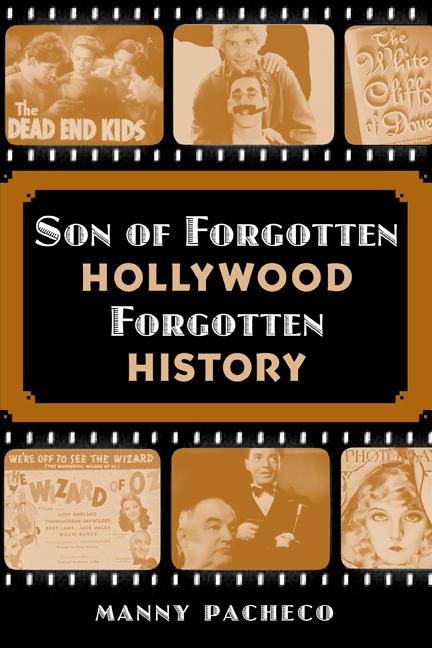 BARNES & NOBLE has added Son of Forgotten Hollywood Forgotten History. In addition to the first work in the Forgotten Hollywood Book Series (as a paperback and as an eBook on NOOK), my new book will now be available on-line and at individual store locations. The first B&N stores to house my new book are at The Grove at Farmers Market in Hollywood, and in Greenwich Village in New York. The good news is a number of other locales will start placing Son of Forgotten Hollywood Forgotten History on their shelves. The Grove location address is 189 The Grove Drive, Suite K 30. The Greenwich Village location address is 396 Ave of the Americas at 8th St. This entry was posted on Friday, March 30th, 2012 at 12:08 am	and is filed under Blog by Manny Pacheco. You can follow any comments to this post through the RSS 2.0 feed. Responses are currently closed, but you can trackback from your own site.